HOLIDAY GIFT GUIDE: Gifts for a Sun-Inspired Getaway! We snow bunnies sometimes like to scoot out of town when we can for a warm-weather getaway during the winter. But not without some sunny essentials! 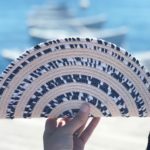 This gift guide was designed to get people packing for sun-filled vacations or bringing a little sunshine to the season! 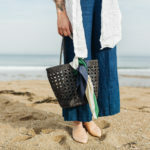 Reminiscent of a beach-y straw bag, but crafted from luxe leather, this dreamy bag is the perfect companion for your next escape to warmer weather! Large enough to fit your favorite book, sunscreen, and a wallet, you’ll find yourself reaching for this bag time and time again. 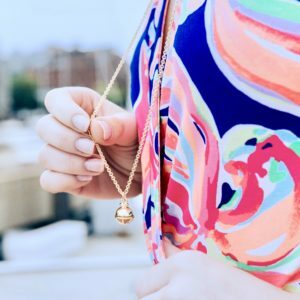 Maine Melon’s Beacon Bauble Pendant features a frosted glass bauble inspired by the navigational beacons on New England lighthouses. Whether you’re setting off on a day trip to the beach, or scooting out of town for long weekend getaway, the Wave Weekender from Eklund Griffin is just the tote to accompany you on your travels near or far! 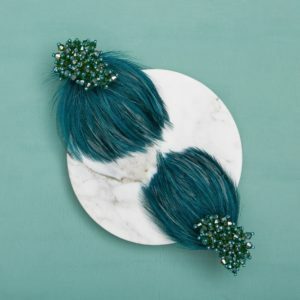 These feathered emerald studs will dazzle and delight all year long—whether you’re headed on a tropical getaway, or are enjoying a staycation at home! Mignonne Gavigan. Available at Linda Taylor Boutique. 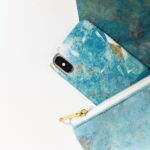 Illuminate your world with this Merinda Mandala phone case— a daily essential that offers both protection and a pop of color! 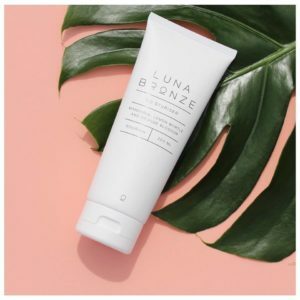 Enjoy a natural glow before you go with Luna Bronze Tanning Lotion from Let’s Glow! 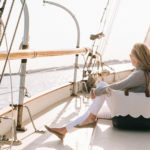 The Ipswich Weekender from Long Wharf Supply Co. is built with heavy-duty waxed canvas and sturdy bridle leather so it’s ready to go anytime you are! Whether you’re heading out for a weekend road trip or flying to your next great adventure, this weekender will keep your belongings safe and protected while you travel the world in style! 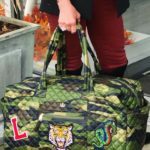 This lightweight quilted bag by Oliver Thomas was recently recognized by Travel + Leisure as being one the ‘Best Weekender Bags!’ It’s water resistant, machine washable, and features a ‘secret stash’ zip compartment! Available in black and blue camouflage at Linda Taylor Boutique. Patches sold individually. 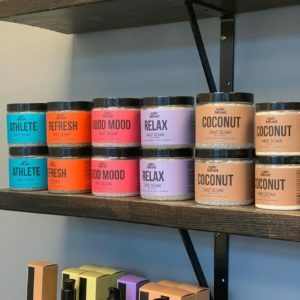 Whether you’re flying somewhere warm or taking a trip to your bathtub, hit the “relax” button with BARE Waxing Boutique’s natural bath soaks! 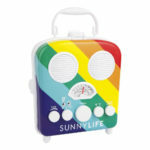 This fun, portable speaker hooks up to your iphone via Bluetooth or auxilliary chord, and can also play the radio! Perfect for dinner by the water, weddings, or a night on the town, this Coastal-Chic Clutch from Sewcialite will take you everywhere in style! Simple. Classy. Neutral. 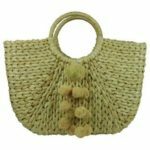 The Round-Handle Tote is a perfect sunny-day carry-all from Spaces! 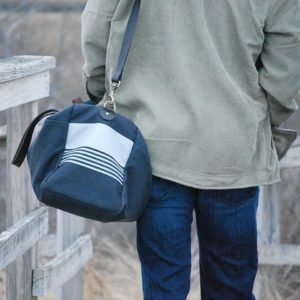 Erin Flett’s Dopp Kits are made with the highest quality heavy canvas and are hand-printed and sewn in Maine. 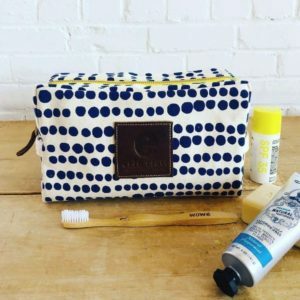 Both beautiful and practical, these dopp kits can fit anything from jewlery and makeup, to toothbrushes and toothpaste! While your skin is soaking up the rays outside, you can’t forget about your fresh, healthy smile! 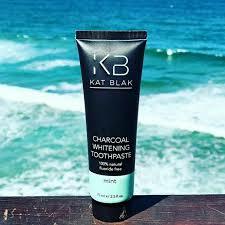 Tote along this Charcoal Whitening Toothpaste from Southern Maine Skin Company and your teeth will be glowing in no time! 100% all natural and vegan! 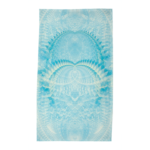 Towel off with this aqua beauty designed by a Seacoast native Kirsten Merinda! 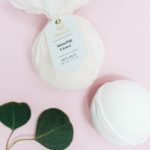 A respite from the cold in a warm bath, or packed in your suitcase for a trip to the tropics, these bath bombs, filled with essential oils from Bell Farm Shop, are sure to take you to paradise no matter where you are! Say goodbye to fine lines around your lips with PCA’s peptide lip therapy. 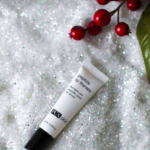 This nourishing lip treatment will help your lips look beautiful and soft throughout every season! Available at Southern Maine Skin Company.